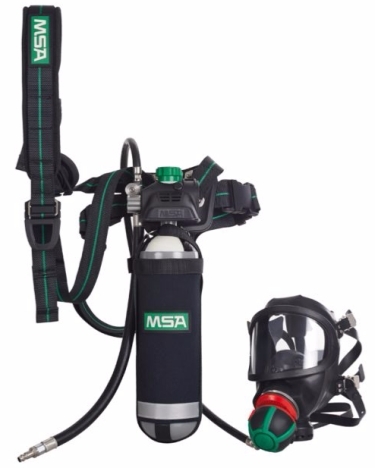 MSA have designed a new Combination Supplied Airline Respirator with compressed air cylinder, called the PremAire Combination. The PremAire Combination is comfortable, economical and versatile. A streamlined design offers a first stage pressure reducer and cylinder valve within one assembly, creating a very small size and profile that is less likely to snag when working in confined space or tight places. The PremAire Combination can be equipped with either the 3S-PS-MaXX or the Ultra Elite-PS-MaXX full face mask in combination with the AutoMaXX-AS lunggoverned demand valve.